An illustrated talk by Brian Bennett on Mynydd Isa and District. Doors open at 6.30pm and the talks run from 7-8pm. An illustrated talk starting at 7.30 pm on Monday evening the 14th January 2019 by Airfield Historian and Author Mr Aldon Ferguson. A small entry fee may be charged. An Alphabetic Miscellany of places you know, maybe some you don’t”. Here’s a reminder of the next event organised by Friends of the Clwydian Range and Dee Valley, FoCRDV. It’s a presentation of pictures of our AONB, By "our AONB" I mean the Clwydian Range and Dee Valley Area of Outstanding Natural Beauty. The pictures have been chosen somewhat haphazardly by me. I’ve called it “An Alphabetic Miscellany of places you know, maybe some you don’t”. If you, or anyone you know would like to join me and see my selection of pictures, then please let me know. Just in case anyone is not familiar with Loggerheads, it’s on the A494, between Mold and Ruthin, 3 miles from Mold and 7.5 miles from Ruthin. A Lecture for the Flintshire Historical Society by Andrew Davidson the Chief Archaeologist, Gwynedd Archaeological Trust. HEARTH FESTIVAL - FOUR OF THE BEST CONTEMPORARY WRITERS COME TO HAWARDEN! Gladstone’s Library is delighted to announce the names of the four writers appearing at its annual Hearth festival. The intimate writing festival hosted in the cosy common room at the residential library offers keen writers the opportunity to pick up hints and tips, and ask questions of published authors about their experiences. It also encourages any with an interest in the world of books to find out more about the writing and publishing process. Speakers at the February festival are Jacqueline Saphra (A Bargain with the Light: Poems After Lee Miller), Ellen Wiles (The Invisible Crowd), Tania Hershman (Some of Us Glow More Than Others) and Alys Conran (Dignity). JACQUELINE SAPHRA describes herself as a ‘poet, editor, agitator, teacher, organiser and word-enthusiast’, writing prose and poems across genres and collaborating with composers, musicians and visual artists. The Kitchen of Lovely Contraptions (flipped eye 2011) was shortlisted for the Aldeburgh First Collection Prize. If I Lay on my Back I Saw Nothing but Naked Women (The Emma Press 2015) won the Saboteur Award for Best Collaborative Work, and in 2017 A Bargain with the Light: Poems after Lee Miller (Hercules Editions 2017) was shortlisted for a Saboteur Award. At Hearth Jacqueline will take a closer look at the life and work of Lee Miller, extraordinary and courageous photographer and trailblazer for women. ELLEN WILES is a musician-turned-lawyer-turned-writer. As a human rights barrister at a London chambers, Ellen worked on British cases and international projects including with the Bushmen in Botswana, Karenni refugees in Thailand and local lawyers in Myanmar. Her first book, Saffron Shadows and Salvaged Scripts: Literary Life in Myanmar under Censorship and in Transition (2015) features new literary translations and interviews with censored Burmese writers. Her first novel, The Invisible Crowd (2017) won a Victor Turner Prize for ethnographic writing. At Hearth Alys will talk about The Invisible Crowd - a compelling exploration of the British asylum system, the lottery of birth and the kindness of strangers. TANIA HERSHMAN is a writer, teacher and editor. She is the author of six books, as well as many short stories and poems. Her short stories and flash fictions (The White Road; My Mother Was an Upright Piano; Some of Us Glow More Than Others) are noted for their precise tone and wild, complex settings, while her poetry (Nothing Here is Wild, Everything is Open; Terms and Conditions) is similarly intricate and rich. After years spent living and working in Bristol, Tania currently lives in the north of England, where she is Royal Literary Fund Fellow at the University of Manchester and writer in residence in the Southern Cemetery. In her hour she will read a specially-chosen selection of her past and current work while talking to Louisa Yates about how her writing life has shaped her, what she’s writing now, what hybrid writing means, and all that she might be next. ALYS CONRAN 's first novel Pigeon (Parthian Books) won the Wales Book of the Year Award 2017 and was shortlisted for the International Dylan Thomas Prize. It also won the Rhys Davies Trust Fiction Award, The Wales Arts Review People's Choice Award and was longlisted for the Author's Choice First Novel Award. She also publishes poetry, short stories, creative non-fiction, creative essays and literary translations and her work is to be found in numerous magazines and anthologies including Stand and The Manchester Review. At Hearth she will consider what the Raj means to Britain today. Individual event tickets are priced at £14. Morning Tickets (including the two morning talks plus lunch and entry to the panel discussion) are £35 and Afternoon Tickets (including the two afternoon talks plus dinner and entry to the panel discussion) are £35. Day Tickets (including all Hearth events and meals) are £60. All tickets include free entry to the evening panel discussion with all four Hearth speakers during which they will reflect on reading and writing and guests are invited to put forward their most testing questions! To book tickets or for more information, visit gladstoneslibrary.org, call 01244 532350 or email enquiries@gladlib.org. Super limited accommodation is available for this festival and may be booked by calling 01244 532350. Prices start at £69 (student, clergy and Society of Authors discounts available). Hearth festival began in 2014 and takes place annually in February. It is an opportunity to meet, chat with, quiz and create with successful writers in the unique setting of the Library’s common room. Attendees are invited to engage in discussion, find inspiration and get hints and tips on writing and getting published, while the fire flickers and the wine flows. Former Hearth guests include Rebecca Abrams (Touching Distance), James Runcie (The Grantchester Mysteries), Melissa Harrison (At Hawthorn Time), Jessie Burton (The Miniaturist) and Kate Hamer (The Girl in the Red Coat). Gladstone’s Library is situated just six miles from Chester. It is Britain’s only Prime Ministerial library and the national memorial to William E. Gladstone. It is home to a unique collection of more than 150,000 printed items and offers a comfortable, sociable and stimulating environment together with resources for creative study including renowned collections of theological, historical, cultural and political materials. To request individual comment, interviews or photographs, please email amy.sumner@gladlib.org. The “Great Storm of 1859”. 7:15 pmMasonic Hall, Earl Road, Mold. CH7 1AB. The next Mold Civic Society meeting will be Thursday 7th February 2019 starting with an A.G.M then Erin Lloyd Jones will talk on the “Great Storm of 1859”. New members are always welcome. Visitors are also very welcome for a small fee each visit. Snowdrops at Chirk Castle with Hazel Bloomfield. I can confirm that due to forecasted high winds tomorrow 9.2.2019, for safety reasons the Castle, Gardens and Estate are close to the public. I apologise for the inconvenience that this closure will cause. We look forward to welcoming you at the Castle in the future. The National Trust is a registered charity no. 205846. Our registered office is Heelis, Kemble Drive, Swindon, Wiltshire SN2 2NA. The views expressed in this email are personal and may not necessarily reflect those of the National Trust unless explicitly stated otherwise. This email and any files transmitted with it are confidential and intended solely for the use of the individual or entity to whom they are addressed. If you have received this email in error, please notify me immediately. If you are not the intended recipient of this email, you should not copy it for any purpose, or disclose its contents to any other person. Senders and recipients of email should be aware that, under the Data Protection Act 2018, the contents may have to be disclosed. The National Trust has scanned this email for security issues. However the National Trust cannot accept liability for any form of malware that may be in this email and we recommend that you check all emails with an appropriate security tool. At 10:30 am, Hazel, a member of Friends of the Clwyd Range and Dee Valley, will lead a short easy walk of about 1 hour, from the National Trust Visitor Car-park in the estate lands of Chirk Castle. Then at 11:30 am she will return to the car park and proceed through to the gardens and woodlands which we hope will be carpeted with snowdrops. If you don’t want to join the short walk then you can arrive for 11:30 am. Entry will be free for members of the National Trust, (NT) and Members of Friends of the Clwydian Range and Dee Valley, (FoCRDV). If you belong to NT please bring your membership card as Chirk Castle wants to record the “footfall”. If you are not a member of NT but are a member of FoCRDV then bring your FoCRDV Membership card for free entry. Gladstone’s Library is delighted that this February two spectacular women will be taking up their places as Writers in Residence, and will deliver three not-to-be-missed events! Sophie Mackintosh’s residency runs 10th February – 10th March. At her evening event, ‘Utopias and Dystopias’, on Tuesday, 12th February, she will ruminate on why both critics and audiences seem to love speculative fiction so much and will tackle some tough questions including why we are so drawn to it, what speculative fiction helps us to come to terms with, and what it can tell us about ourselves. Sophie also leads an exciting day-long masterclass on ‘The Art of the Short Story’. During the day, participants will learn how novels and stories inform one another, as well as how to work within (and learn from) the limitations of short fiction. Susanna Forrest’s residency runs 10th – 24th February. On Tuesday, 19th February, she will present an evening talk on ‘Writing Animals’ and will explore the challenges of doing animals justice in contemporary non-fiction. As a scholar of equine culture and history and the author of the The Age of the Horse (2016), Susanna has much to teach us about history, literature, anthropology, philosophy, and even food! Sophie and Susanna join us in February as the Library’s first and second Writers in Residence of 2019. Whilst staying with us they will be reflecting on and engaging with social, moral and ethical questions through their creative writing, and sharing their expertise with residents, visitors and event audiences. They will also submit a blog post to the Library’s blog, Volume. Tickets for ‘Utopias and Dystopias: The Water Cure - An Evening with Writer in Residence Sophie Mackintosh’ are priced at £15 or £25.95 with dinner (a copy of The Water Cure included). Tickets for ‘The Art of the Short Story - A Masterclass with Writer in Residence Sophie Mackintosh’ are now SOLD OUT. Tickets for ‘Writing Animals - An Evening with Writer in Residence Susanna Forrest’ are priced at £15 or £25.95 with dinner (a copy of The Age of the Horse included). For more information or to book tickets to any of these events, please call 01244 532350 or email enquiries@gladlib.org. You can also book tickets online at www.gladstoneslibrary.org. Susanna Forrest is an author, journalist, essayist and teacher. Susanna writes creative non-fiction on equine culture, a subject that took her across the world, including Mongolia. She published her first book, If Wishes Were Horses, in 2012, following with The Age of the Horse: An Equine Journey Through Human History (2016), an extraordinary achievement of research, travel, and writing which uses horses to tell the story of our own human history. The Times called her ‘the outstanding writer at the erudite end of horse madness’ and Waterstone’s named her book one of the Best Countryside and Nature books in 2016. Gladstone’s Library is situated just six miles outside Chester and is Britain’s only Prime Ministerial library and the national memorial to William E. Gladstone. Home to a unique collection of more than 150,000 printed items, it offers a comfortable, sociable and stimulating environment together with resources for creative study including renowned collections of theological, historical, cultural and political materials. Gladstone’s Library’s competitive Writer in Residence programme provides space and resources for four writers whose work engages with liberal values. Through reflection and writing during their stay, Writers in Residence help us redefine liberal values for the 21st Century. The Residency programme is designed to share the Library’s benefits with as many people as we can, broadening the Library’s audience and benefiting from their perspectives in turn. The Library welcomes all, regardless of gender, race, class, sexual orientation or religious affiliation. All Writers in Residence will be at ease with this inclusive ethos. This fee covers attendance and tutorage, including assessment and basic materials. around the country park spotting birds as we go. Binoculars available or bring your own. With the aid of Cadw and the Clwydian Range and Dee Valley AONB, CPAT are supervising a programme of site management at the impressive medieval motte castle - Tomen Y Faerdre, near Llanarmon Yn Ial, Denbighshire . The work, organising volunteer work parties to help with vegetation clearance of the old castle mound, is a continuation of a long term project to enhance the view of the monument whilst hopefully adding to the understanding of the history of the site, improve limited access, interpretation boards, heritage trails in the parish etc. 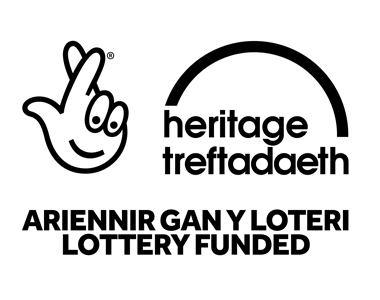 CPAT, undertook a similar successful project in partnership with Cadw and the AONB at Tomen Y Rhodwydd above the Nant Y Garth pass between 2014-17. We will begin work on site on Monday 4th March through to the Thursday 7th. Time on site is from 10am to 3:30pm each day. You will need to wear sensible outdoor clothing and stout footwear. We can provide gloves and tools but if you have a favourite saw, pair of loppers etc please bring them along. We will be burning on site so if the weather temperature drops don’t worry we have a big fire, baked potatoes included! On the subject of food, please bring a packed lunch and drink. Alternatively, there is a wonderful community shop in the village that does sell food and drink. Parking: Please park either at the newly refurbished Old School House car park at the rear of the Churchyard or at the Raven Pub Car Park. It is a short walk down hill to the site down by the river. The site is on private land although there is access via the adjacent bridleway. Normally permission to visit would be by prior appointment with the landowner, who is in full support of the project. I hope, with the aid of the surrounding community, to raise the profile of this historic site. If you feel you would like to be involved, whether it be for a day or more, in groundwork clearance then please drop me a line at either our offices (Tel 01938 552 002) asking for Ian Grant or alternatively Mob: 07967 605 404. The Making of Mold Part 2 by Kevin Matthias. The next Mold Civic Society meeting will be Thursday 7th March 2019. The talk will be “The Making of Mold Part 2” by Kevin Matthias. Here are the details of a 4 hour walk on Sunday, 10th March 2019 to be led by Jeff Morgan, Trustee of Friends of the Clwydian Range and Dee Valley, FoCRDV. Starting at 10:00am from the Llantysilio Green/Horseshoe Falls Carpark, here’s Jeff’s description. Amazing views - a moderate walk with a handful of stiles. Meet at Horseshoe Falls Car park, ready to walk at 10.00. We will walk through Valle Crucis Abbey, then to Castell Dinas Bran and return via Llangollen canal and Horseshoe Falls. The walk will take about 4 hours and we will stop for lunch so bring your sarnies!! Please feel free to pass the details to anyone who may be interested, and let me know of anyone who will be joining us. Following the Annual General Meeting a Lecture will be delivered by Dilys Rana, a native of Nannerch. A 6 mile walk around Llanarmon yn Ial and Eryrys taken from Ron William’s book of 24 Walks in the Clwydian Hills and Dee Valley and led by Ron Williams. Ron advises anyone joining him to bring something to eat and drink. He also advises anyone intending to bring a dog that there are several stiles some of them are difficult to get a dog over. If you or anyone you know would like to join Ron then please let me know. Refreshment available after the talk. This talk was originally scheduled for the 11th of April but with effect from 4.4.2019 has been changed to 10th April.